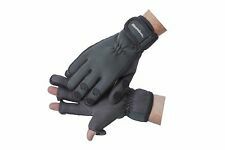 Tronixpro Casting Glove Finger Stall. 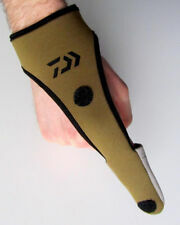 Tronixpro finger glove / stall saves line cuts to the finger whilst casting. Busy periods may take a little longer! THE FINAL GRIP IN THE MOUTH OF THE CATFISH IS MAYBE THE MOST. THE RISK OF. THE CATFISH WITHOUT ANY FEAR, THIS GLOVE SHOULD BE ALWAYS AT HAND! 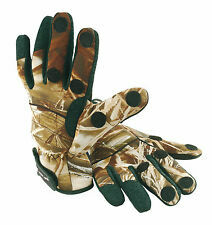 MAD CAT KEVLAR GLOVE. MONEY SAVING BARGAINS AND LOTS OF OTHER MAD CAT FISHING. Daiwa Casting Finger Stall - DCFS1. Snowbee Lightweight Neoprene Gloves, a lightweight neoprene glove with a nylon Jersey knit palm with rubberised 'dots' pattern for extra grip. The thin palm of the Snowbee material allows the gloves to be worn whilst fishing, shooting or to work in and still feel everything, whilst the Neoprene back gives added warmth, where it's needed. 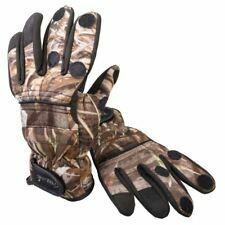 Fishing Gloves Camo Size S/M. Condition is Used but in excellent condition as you can see from pictures. Dispatched with Royal Mail 2nd Class. Carp Fishing. Keep your index finger from hurt during guiding the line when casting, but more comfortable and flexible than a full finger gloves. Velcro tie connected by an elastic strap for different size hands. The slits in the fingers offer extra room for maneuver. 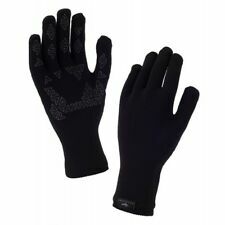 He Snowbee SFT Neoprene Gloves are perfect for keeping your hands dry when fishing. 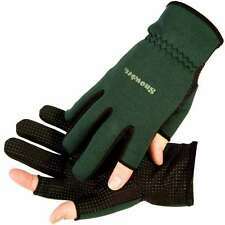 The Snowbee SFT Neoprene Gloves are green in colour and available in different sizes for you to choose from. The neoprene material has a 4 way high stretch 100% CR construction that is only 1mm thick. Material: Camouflage fabric. Colour: Camouflage. Note: The color of this product is camouflage, but the. 1 Pair of 3 Finger Cut Gloves. Non-Slip Palm Material, Water resistant, scratch resistant, durable. Ideal for unhooking pike. 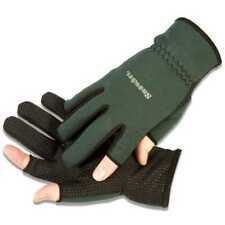 Fishing filleting cut resistant Glove. Stainless Steel knife filleting. Protect yourself when filleting or handling predatory fish. Thread weave Fishing Glove. Sold in pairs. PA60 - 75, 78. BD23 - 24 BT35, 44, 47, 51, 53, 54, 70, 71, 76, 77, 81, 92,93, 94. PH15, 17 - 26, 31 - 40, 49, 50. TR12, 13, 17 - 26. IV21 - 28, 40 - 49, 51 - 56. YO41, 43, 51, 60, 61, 62. 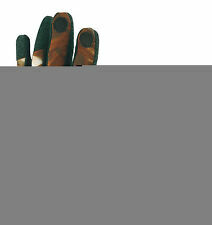 Camp shooting glove with leather palm and web and buckle fastening. • Designed for the outdoors. • Perfect all rounder. 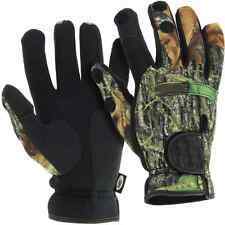 Neoprene Fishing Gloves XL. 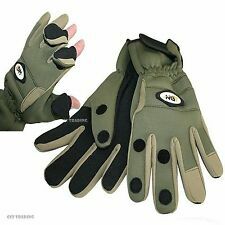 green and black fishing gloves slit and Velcro style on fore finger and thumb on both hands elasticated and Velcro adjustable wrist paypal only no overseas bidders Condition is Used. Dispatched with Royal Mail 2nd Class.